Some casinos such as Twin River, have already made plans to start introducing a sports book from Monday this week, whilst their Tiverton branch are said to be launching theirs in about a week or so. However, Connecticut said they are more likely to follow lead in the next legislative session, meaning major casinos operators; Foxwoods and Mohegan Sun have been left anxiously awaiting authorization from officials, as to whether they can begin offering sports betting inside their own establishments. State representative ‘Joe Verrengia’, co-chairs the Connecticut legislature’s Public Safety and Security Committee, who are also responsible for overseeing all gaming activity within the state. 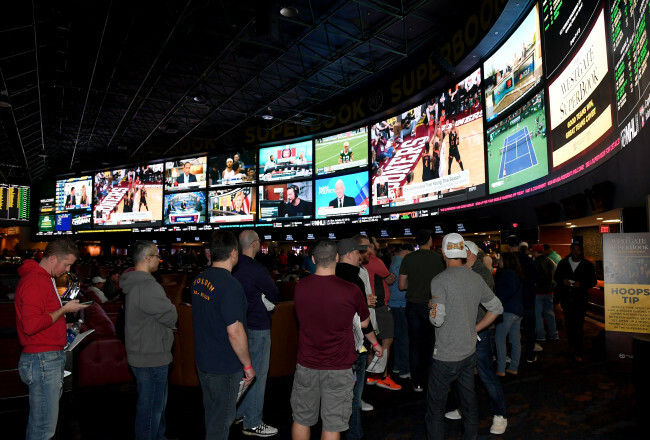 He recently claimed in a telephone interview how he believes sports betting will eventually make its way to Connecticut, to keep in line with their inclusive approach and policy towards gaming overall. Connecticut’s Governor Dannel P.Malloy, was quick to respond in light of Rhode Island’s recent actions, saying he was even prepared to call the legislature into a “special session” and bring it forward. Even though the US have slowly begun legalizing wagering on sports, with many sanctioned from May this year – the Mashantucket Pequot and Mohegan tribes’ (who essentially paved the foundations for the gambling world in America) have been objecting their side of the long-lasting agreement they have in place with the state, saying they should be granted exclusive rights for operating sports betting inside their casinos. The ideal objective, would be to draft a legislation that accommodates all aspects of the state’s gaming industry. This would include permitting all licensed establishments to offer sports betting, expanding the casino landscape, as well as the potential creation of a gaming commission, whose values fit more in line with those of Massachusetts. Other than the Public Safety and Security Committee, it is the Department of Consumer Protection who primarily oversee all gaming activity and legislature within Connecticut. “I realize that as each day passes, we’re leaving money on the table,” he said, referring to the delay in legalizing sports betting. “But it’s more important that we get it right. If it takes more time, so be it.” Verrengia went on to say. Although the future for Connecticut is uncertain at this moment in time, lawmakers at Rhode Island believe sports betting will be in full swing by October 1st this year, and is likely to generate $11.5 million in revenue alone, of which the state will receive a 51% cut. Twin Rivers’ and Tiverton Hotel Casino are the only Rhode Island firm permitted to start taking bets on sports wagers. Dozens of gamblers and sports enthusiasts are said to have made their way to the casino’s book-making desk on Monday, in a bid to be the first to enjoy the new sports and pari-mutuel betting experience. The casino have confirmed renovations will be underway by mid-December; opening up a dedicated 3,600 sq. ft. area complete with comfortable seating, tables, and 100 television screens.